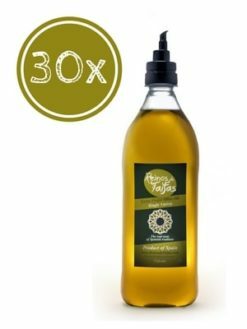 Enjoy the flavour of EVOO Reinos de Taifas Picual for less with the Picual Alfanje 30L Pack. 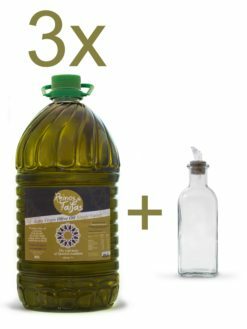 This pack contains six Alfanje bottles (five litres) of Picual single variety Green Gold Reinos de Taifas. 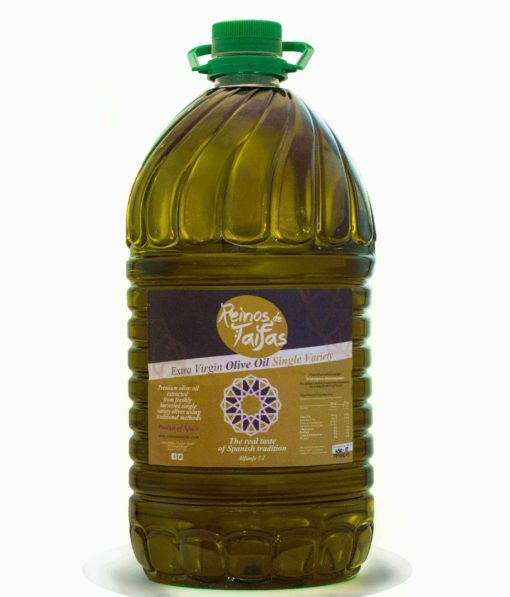 A great product, really one of the nicest olive oils I have every tasted! Nice friendly service from family owned business. This is by far the best olive oil I’ve tried before. 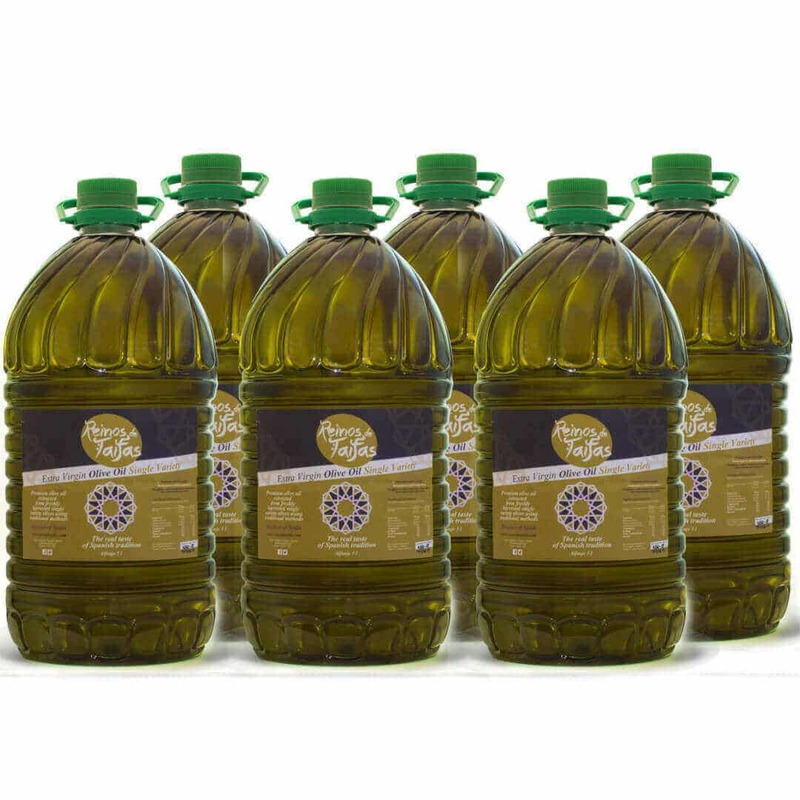 The smell, colour and taste are exquisite, and of high quality! I recommend to all olive oil lovers and non-lovers! 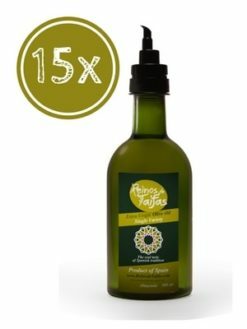 Great olive oil to cook or to dress your dishes with a unique Spanish taste! Highly recommended. The olive oil is rich, tasty, with a gorgeous sense for your buds! Proper olive juice, with a perfect bright colour. I love it! Very reasonable price, too.